Esri Professional Services created the Town of South Windsor Maps Viewer app for iOS devices. Service requests appear on the app's map. When residents of South Windsor, Connecticut, want to report a damaged stop sign or a missed trash pickup, they report the problem using the town’s new iOS mobile app that was developed by Esri. If public works employees fix a pothole, they can use the same app on their town-issued iPhone or iPad to inform their supervisor that the work was completed. The Town of South Windsor Maps Viewer mobile app—also available online via the Citizen Service Request dashboard—is just one of the Esri ArcGIS-powered apps South Windsor uses since it obtained an Esri Small Municipal and County Government Enterprise License Agreement (ELA). 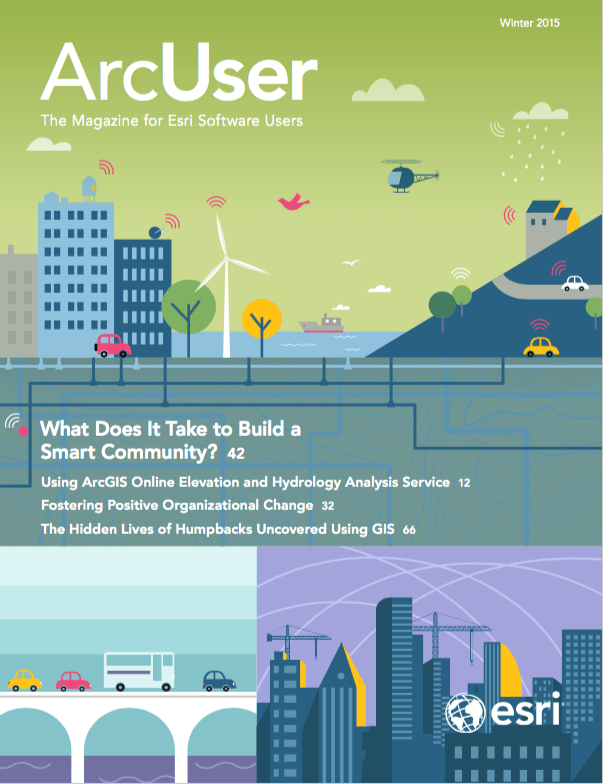 The ELA includes unlimited access to many components in the ArcGIS platform, including ArcGIS for Desktop, ArcGIS for Server, and developer tools to build desktop and mobile apps, along with a subscription to ArcGIS Online. “The real win for us, a community of 26,000, is everything we can dream, we have the tools to build,” said Scott E. Roberts, the town’s chief information officer and director of information technology. And lately, South Windsor is dreaming big. The town is modernizing and migrating all its dashboards—Citizen Service Request, Emergency Operations, Snowplowing, and Leaf Collection—from ArcGIS Viewer for Flex to ArcGIS Online apps. South Windsor residents have a long history of collaborating and sharing information for the common good. In the 1630s, the Podunk Indians and English settlers lived peacefully in what is today South Windsor, a town north of Hartford, on the Connecticut River. They dealt with issues such as diseases, land purchases, and conflicts with other Indian tribes. That spirit of cooperation continues today, though the problems the citizens of South Windsor tackle now are less harrowing. 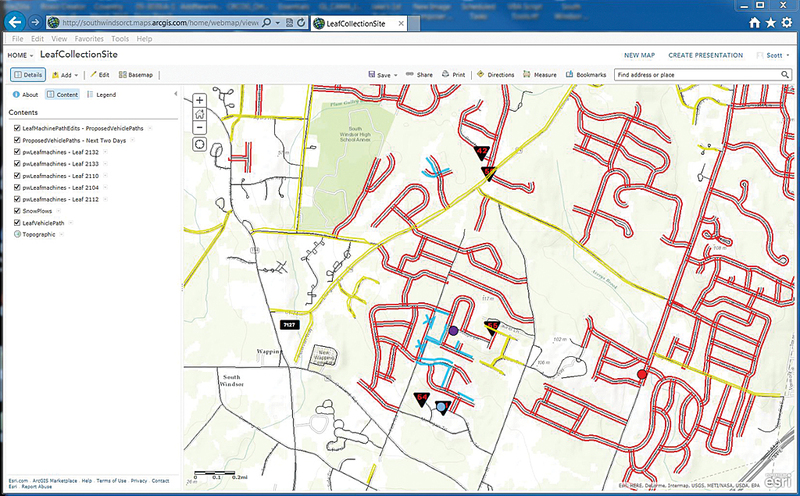 The Citizen Service Request dashboard, available at the town’s website, was developed by the South Windsor Public Works Department two years ago to make it easy for people to report community problems such as missed trash pickup, potholes, defective streetlights, mailbox damage, fallen trees, and illegal dumping. A developer from Esri Professional Services created the Town of South Windsor Maps Viewer, an iOS app that is available at the Apple App Store, so citizens could make service requests using an iPhone, iPad, or iPod touch. Now residents can either use the iOS app or the online dashboard to report an issue. The dashboard was built and deployed using Esri’s ArcGIS for Server. The iOS app works by using the GPS capabilities on a mobile device so a citizen or staff member can capture the location of the issue or problem and use the simple service request form to provide a description of the issue. After entering the type of problem, name, phone number, and e-mail, the report can be submitted via the app or dashboard. The requester will continue receiving updates about the status of the request until the issue is resolved. Roberts uses this scenario as an example. While you are driving to work, you notice a stop sign near your house is missing. You pull your car over safely to the side of the road and use the Town of South Windsor Maps Viewer app to notify the town officials about the missing sign. The reporting system is automated. A Python script runs every 15 minutes, searching for new requests coming into the dashboard system from citizens or town employees. When one arrives, it appears as an icon on the dashboard. An e-mail with a work order is automatically generated and sent to the appropriate department to vet. If it is approved, it is assigned to a crew. Once the job has been completed, the icon disappears from the dashboard and a final e-mail is sent to the requester, saying the service request was fulfilled. The streets in red show where leaves have been collected, while the streets in yellow show where leaves will be collected over the next two days. Blue markings show the map updating as leaf collection vehicles move through the neighborhoods gathering leaves. City administrators like this automated system because it increases accountability by staff, provides them with metrics, and speeds workflow, according to Roberts. Town staff also use the Citizen Service Request dashboard to keep residents informed about projects such as road reconstruction, drainage work, and sewer manhole cover inspections. The town also uses dashboards to manage snowplowing, leaf collection, and emergency operations. The dashboards were built two years ago using ArcGIS Viewer for Flex but are being moved to ArcGIS Online. The Leaf Collection dashboard already has aleady made the switch to ArcGIS Online. It color-codes streets: those marked in red indicate where leaf collection has been completed, while those in yellow show where leaves will be collected over the next two days. Another Python script, running at night, keeps the dashboard map up to date so streets initially marked in yellow will be changed to red after the leaves are picked up. Staff make PDF maps of the dashboard and post them online to remind residents that crews will be by soon to gather leaves. “We’re telling them to get [their leaves] to the curb,” Roberts said. The town also invested in automatic vehicle location (AVL) devices. The AVLs, installed in the trucks used by town employees and contract workers, monitor both the location and speed of the leaf collection and snowplows. The dashboards are configured to handle public works service requests. At a moment’s notice, they can be switched over to handle emergency operations such as dealing with fallen trees, downed electrical lines, and road closures. Emergency Operations Center commanders can monitor real-time situations and quickly coordinate responses using the town’s Emergency Operations dashboard as information comes in from first responders in the field. The town also uses Collector for ArcGIS, Esri’s app for smartphones and tablets, to collect data in the field and overlay it on maps accessed from ArcGIS Online. This ability to combine data from these sources instantly is valuable when responding to citizens’ requests for service as well as when performing maintenance tasks or dealing with emergency situations. 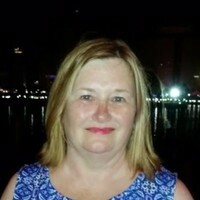 Because of the success South Windsor has had using GIS, the town decided to share its apps with neighboring communities because sharing information with them would benefit South Windsor as well as its neighbors. South Windsor created a one-page letter of agreement (LOA) to formalize sharing its applications with other municipalities. Any apps the town develops will be shared with other towns that are interested in implementing a similar program. Those towns will still need to purchase the Esri licenses and the third-party packages that South Windsor has integrated, but the apps are free. “The only stipulation is that if you make any enhancements or changes to the applications, you share those changes with us so that they continue to improve,” said Roberts.